Configure, price, quote (CPQ) software helps companies automate the lifecycle of the quoting and proposal process, starting with the moment a customer supplies their needs in a company’s offering and ending with sending a detailed quote to the customer or prospect. CPQ software is used in sales departments to accelerate the sales process while improving quote accuracy and customer relations. These software products allow companies to determine a customer’s needs and provide them with custom quotes that best fit those specific needs. Products are typically built on an existing CRM software product or designed to integrate with one (or more) CRM tools. CPQ reviews by real, verified users. Find unbiased ratings on user satisfaction, features, and price based on the most reviews available anywhere. 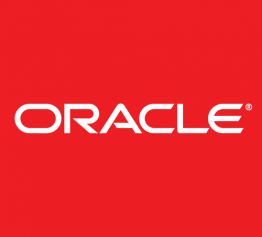 Designed for midsize companies, Oracle BigMachines Express CPQ Cloud Service for Salesforce.com is an easy and intuitive Configure, Price, and Quote (CPQ) solution. Apttus CPQ (Configure Price Quote) is the #1 enterprise multi-channel sales tool designed to help companies configure, price and quote deals accurately, quickly, and easily. It handles simple to highly complex product & pricing configurations across all sales channels (field, telesales, partners, E-Commerce). It is part of a complete suite of, integrated applications that enable the Quote-to-Cash process:Contracts, Incentives, Billing and Order Mgmt. and E-Commerce. Powered by the world’s most trusted cloud platforms including Salesforce and Microsoft Azure, Apttus CPQ can be accessed within any of the world’s most popular CRM solutions including Salesforce and Microsoft Dynamics 365. DealHub is an award-winning Sales Engagement and CPQ platform that delivers a personalized buying experience at every step of the sales and prospecting funnels. DealHub enables Sales reps and buyers to meet, engage and collaborate online on relevant, personalized and dynamic content, while gaining real-time insights on buyer engagement and disposition. From simple to complex, DealHub’s CPQ software allows sales teams to configure quotes and proposals faster with fewer errors. By minimizing administrative tasks and allowing sales teams to focus on engaging more effectively with buyers, DealHub helps sales operations reduce the sales cycle and increase revenue. DealHub operates natively within Salesforce CRM and Microsoft Dynamics CRM and offers: •	Configure-Price-Quote (CPQ) •	Document Generation •	Contract Management and Redlining •	E-signature •	Real-time Engagement Analytics •	Predictive Sales Playbooks •	Interactive Content Sharing and Engagement DealHub.io is trusted by fastest-growing technology companies, including ThoughtSpot, SalesLoft, Sisense, Looker, Clicktale, Tipalti, Dynamic Yield, INFINIDAT, Kaminario and AlgoSec. DealHub CPQ is a built-in dynamic quote generator that enables sales to create quotes, contracts and sales collaterals at the touch of a button. Rule-based templates automatically customize documents and their contents based on region, language, customer profile, product and any other chosen parameters. DealHub CPQ lets you embed customized sizing, margin and ROI calculators directly into your guided selling process. These calculators, together with DealHub’s rule-based configurator, ensure your sales reps and channel partners deliver the right solutions at the optimal price points. Oracle CPQ Cloud (formerly BigMachines) helps businesses sell products, services, and solutions faster. Enable your sales reps and channel partners with the guideance they need to find the best solution for each customer. With the strength of Oracle Cloud infrastructure, you can be assured that this revenue gateway is enterprise-grade, performant, and secure. Oracle CPQ Cloud can be deployed stand-alone or in conjunction with leading CRM, eCommerce, Service, and ERP platforms to provide omni-channel customer experiences, while eliminating quote-to-cash friction. Integration | Price | Support | Features With over 85,000 Users in 101 countries, QuoteWerks is the Market Leading sales quoting and proposal solution. What really sets QuoteWerks apart is it's turn key implementation, affordable pricing, legendary phone support, and most importantly the 55+ integrations with CRM, Accounting, Distributors, FedEx/UPS, Leasing, Sales Tax, Microsoft Word, Dell, Cisco, HP, CDW, NewEgg, Provantage, Staples, and more. QuoteWerks is used by companies in almost every industry and by companies of all sizes. The Details: QuoteWerks is specialized (CPQ) software used in every industry for creating sales quotes and proposals. Rather than using Microsoft® Word® or Excel® to create your quotes and proposals, you can benefit from a tool that is specialized for the task of creating quotes and proposals. QuoteWerks fits into your existing software environment. It works with the software that you store your customer information in like ACT!, ACT! for Web, Autotask, ConnectWise, GoldMine, Google Contacts, Maximizer, MS Dynamics CRM, Outlook, Outlook BCM, salesforce.com, SalesLogix, and SugarCRM eliminating the need to re-type customer information. QuoteWerks also has its own built-in contact database. You can easily import your product information into QuoteWerks. QuoteWerks can link to product database sources like external databases, Excel spreadsheets, or text files. You can also just type product information directly into the quote. If you use QuickBooks or Peachtree, QuoteWerks can even quote products that you have stored in QuickBooks or Sage 50 - US Edition / Peachtree. QuoteWerks has the ability to group items items using Bundles or Kits. The QuoteWerks Configurator simplifies building a quote by presenting the sales rep with a list of products to choose from step-by-step. The list of products displayed at each step will be based on the previous selection. The lists of products and number of steps are specified when the configuration is setup. One of the main advantages of using the configurator is that once it has been setup, the sales rep can very easily pick products from the lists presented to them, ensuring that the sales rep will not forget to add products they should. Thus, reducing training costs and mistakes. Our IT Industry Solution provides an integration with Tech Data, Ingram Micro, SYNNEX, D&H and more. You can get real-time pricing and warehouse availability from your vendors and using our QuoteWerks Product Content Subscription (powered by Etilize), customer friendly product descriptions, product images, and marketing descriptions. With QuoteWerks you can also submit orders electronically to your vendors and receive order status with shipping tracking numbers, serial numbers and more. With our QuoteValet® Add-on, you know when your customer views your quote and your customer sign electronically - no more signing and faxing, and can collect credit card payment including deposits. It integrates with your Accounting software like QuickBooks, Sage 50 US Edition / Peachtree, or others through 3rd party Accounting add-ons so when those quotes become orders you don't have to re-enter your orders, and those orders can be submitted electronically to your vendors! All of this eliminates costly mistakes. QuoteWerks has been empowering businesses for over 25 years - increasing their productivity and closing more sales by simplifying and speeding up their price quoting/proposal processes in the office and on the road. Configure One's product configurator and CPQ (configure, price, quote) software is an industry-leading solution for both large and small manufacturing companies. It addresses both sales and production configurator needs and its web-based architecture means that customers can deploy it to various groups (customer service, sales, dealers, customers, etc.). The configurator optionally can produce sales drawings, virtual 3D images, and more. Standard integrations are available to all leading ERP/CRM applications. The #1 rated cloud CPQ platform. Verenia is the only omnichannel CPQ that brings together CPQ, Self-Service, Sales Portals, and B2B2C eCommerce, all under one platform. Trusted by leading companies like Yamaha Motor Company, Bennington Marine and Rise Broadband, Verenia has all the power and scalability to support the growth of all businesses. It is the only all-in-one cloud CPQ solution that includes Guided Selling, Configurator, Proposals, Sales Portals and more to take your business to the next level. Price f(x) is the pioneer of cloud-based price management, price optimization and CPQ solutions. Our solutions are highly configurable to suit any industry and pricing strategy and can be implemented quickly with no upfront investment or risks. Our suite includes: PriceAnalyzer: Gain accurate insights into your pricing, margins, customer and product segments and identify pricing opportunities. PriceOptimizer: Analyze and generate segment-specific optimized pricing and push it to your price lists, CPQ, ERP and Digital Commerce systems. PriceBuilder: Define and manage your pricing strategy and calculate, simulate and publish all types of product prices. PromotionManager: Manage promotions, discounts, campaigns and special pricing, at any level of complexity, from one place. QuoteConfigurator: Empower your sales team to respond to requests faster, quote with high accuracy and confidence, and win more deals. RebateManager: Create, calculate, track and manage rebates, bonuses and credits while integrating with your accounting system. IntegrationManager: Integrate Price f(x)’s suite of solutions with most third-party systems and enable a bidirectional exchange of master and transactional data. Apparound is a cloud based mobile app that digitises sales content and sales processes. Developed to help companies improve sales productivity, Apparound simplifies the sales process for sellers and makes the buying process easier for customers. The Apparound solution includes brochures, product specifications, presentations, videos, product catalogues and real time quoting. The seller is guided through the sales cycle presenting the right content to customers, quoting in real time and getting a contract signed. All of this can be done in one customer meeting. Apparound works as a native app on smartphones and tablets; iOS, Android, Windows are fully supported. It is also accessible from any computer browser: Explorer, Edge, Chrome, Mozilla, Safari. Designed to be customer facing, the app works offline and provides content and real time quotes without a connection. Intelligent Quoting is Apparound’s main product module. It includes content, automated pricing and discounting and quote generation. Other modules available are Sales Tracker, Electronic Signature and Web Client. Sales Tracker is a dynamic dashboard for sellers to track quotes and customers. Electronic Signature increases the speed of deal closure by fast contract generation and digital signatures. Web Client enables the use of Apparound from any computer browser. CallidusCloud CPQ makes your quoting and selling process simpler, faster and more profitable. Instead of sales reps spending hours or even days working on proposals, free their time for more selling activities. Sales reps can generate quotes and proposals while with a customer from any mobile device. Move your CPQ to ecommerce so customers can generate their own inquiries, configure the solution they are interested in, and place their order themselves. CPQ moves customers from interest to yes, faster. servicePath is a modular platform for costing, pricing, quoting and contracting simple to complex solutions, products and services. Each integrated module addresses a specific aspect of the commercial service lifecycle: cost management, product management sales management and solution management. The platform is intended to work across and automate the key business processes for managing costs, products, quotes/orders and solutions for service provider customers. We call this cost-to-contract. Each module provides domain-specific functionality for the related role, but with careful consideration for the end-to-end business flow of managing and selling complex services. The platform is provided in two editions. CPQ is designed for organisations looking to centralise their product information and enhance sales performance through "configuration, pricing and quoting". CLM builds on CPQ providing enhanced management of costs and the ability to build and maintain complex solutions from first sale through re-grading and re-contracting. Cincom CPQ™ is a configure-price-quote solution that dramatically improves the buying experience for your customers. Beginning with product configuration, Cincom CPQ creates real-time pricing and quoting of those configurations and delivers a proposal on the spot. With expert knowledge at their fingertips, your sales reps and dealers have everything they need to win more business and your customers have everything they need to make a buying decision quickly. PROS Smart CPQ automates the configure, price, quote process empowering your sales them to create accurate, tailored solutions for each customer, every time. Integrated with dynamic pricing science technology which provides prescriptive insights into the willingness to pay at the individual customer level, not just the segment level, your sales teams are armed with the ability to always provide winning prices for that customer, for that product, in real-time. Take your business one step further and expand your addressable market by enabling partners and customers with the same great configuration and quoting capability for a modern commerce omnichannel experience. With Smart CPQ you now have the speed and agility to respond quickly to customer requests and use prescriptive insights to consistently provide the right products at the right price for your customer through any sales channel. PROS Smart CPQ with dynamic pricing enables you to deliver process automation and profits. DigiFabster is a subscription-based instant quotation and eCommerce solution for use with 3D printing, CNC and other digital manufacturing technologies. The cloud-based software allows for immediate quoting and online payment, while also analyzing and fixing CAD and other 3D printable files, ensuring parts are correctly oriented and produced. DigiFabster’s back-end system provides you with all the flexibility you need, allowing you to determine costs for machine time, materials, labor, finishing and more. You can create rules for discounts and add a premium for quick turn times. The software supports 10 technologies with multiple pricing and discount options. DigiFabster’s CRM is specifically designed to address needs of machine shops and service bureaus. These powerful tools allow you to be connected to your customers 24/7, without the labor and expense. Our fully documented API allows you to utilize the data with other software like ERP, accounting or shipping. FPX has more than 30 years of experience in solving complex sales and operations challenges for large, multi-channel organizations. As the inventors of Configure Price Quote (CPQ) technology, FPX provides the most impactful solutions for the world’s most complicated sales problems. Unique from other CPQ vendors, FPX doesn’t build its applications on the platforms of third-party CRM systems and can be seamlessly integrated across all technology standards, including SAP, Salesforce, Oracle, and Microsoft. This allows our customers to better connect their separated processes across an ever-growing web of sales and distribution channels. FPX delivers a platform of cloud-based solutions that enables global companies to sell complex products and services with incredible speed, efficiency and precision across all channels. FPX Enterprise CPQ empowers companies to augment their existing CRM systems, Commerce sites, and ERP applications by providing an omni-channel solution to optimize and automate all Quote-to-Order business processes, including configuration, pricing, quoting, contract management, workflow, e-signature, and data management. More information is available at www.fpx.com. Qwilr is reimagining the way you communicate with your clients. We help you make beautiful, intuitive sales and marketing documents that look impressive and integrate seamlessly with your business. - Reimagine your old decks and PDFs and dream up creative, inspiring communications that look professional and are easy to make with our high-quality Template Library. - Use our interactive pricing tools to give your clients a quote that’s flexible, interactive and adaptable to their needs. Create quote packages, upsell using optional line items, and provide conditional pricing in an interactive format. - Streamline your sales process by using allowing your clients to accept, sign, and pay in one seamless flow. Integrate with HubSpot, Salesforce, accounting tools, and more. - Invite your team and collaborate on the same document at the same. Control exactly who has access, so important documents are never overridden. - Promote or privately share your Qwilr Pages across any device. Update your live content, even after sharing, so typos become a thing of the past. - Get deep insights into what’s making your business tick and course correct accordingly. See how many times your Qwilr Page was viewed, which sections they spent the most time on, and create reports quickly with our Audit Trail. - Take control of your communications with and re-use your favorite sections in a single click or use your company’s template, with your set company fonts and colors. iQuote Xpress is a web-based SaaS application which enables businesses to automate their sales estimating process using the latest internet technology. Sales personnel is able to easily and quickly generate sales proposals which are more detailed, accurate and include product marketing information. iQuote Xpress users enjoy an enhanced image as professional communication is consistently delivered to the customer. The Product Configurator and CRM of camos - intelligent software for companies selling complex industrial goods. The lead-to-order process is supported from the earliest lead all the way to the confirmation of order. For product configuration and quoting, camos is one of the technological leaders worldwide. e-Con Solutions is a CPQ vendor dedicated solely to Microsoft Dynamics. CPQ software eliminates incorrect quotes, faulty orders and manual updates to quotes, orders, and production materials. The Cireson Portal for Configuration Manager is an easy to use, web-based experience for access anywhere, anytime, enhancing and complementing the native Microsoft Configuration Manager Consol. Model N CPQ is the first Salesforce1-native, enterprise-grade CPQ solution that enables companies to leverage Sales Cloud to power the configuration and pricing of their most complex products. Incorporating powerful capabilities for guided selling, usage based pricing and solution bundles. Model N CPQ is the foundation for increasing sales productivity, shortening sales cycles, and driving business success. Model N CPQ is designed to scale with your business and delivers performance and patented technology to handle all levels of business complexity. Model N CPQ for SAP provides out-of-the-box interoperability built to leverage the data and business logic in SAP and SAP Variable Configurator (VC), enabling sales reps to create quotes that are configured and priced precisely the same as they would have been directly in SAP. With Netformx SalesXpert™ you can quickly and easily create complete end-customer networking and data center configurations and proposals. Quote Roller helps to deliver sales collateral and build quotes, proposals, and contracts. Apttus Configure Price Quote (CPQ) is an enterprise multi-channel sales tool designed to help companies configure, price and quote deals accurately, quickly, and easily. Apttus CPQ handles simple to highly complex product & pricing configurations across all sales channels (field, telesales, partners, E-Commerce). ARCA is an insurance quotation engine designed to allow users to quote any car, motorcycle or pick up insurance by providing three simple things: vehicle, model and post code. AutoQuotes is a CPQ software that comes with an online catalog that can be searched to find the right product and price instantly. bit2win Sales is a Configure, Price, Quote (CPQ) software where the differentiation factos are: Salesforce Native, shared catalog across all channels, flexible product lifecycle management, support extensive pricing model strategy, and advanced rules0based engine. We are dedicated to helping companies optimise the prices for everything they sell. Our advanced pricing software, which is powered by artificial intelligence, has already been trusted and utilised by leading companies, including Merck, Silmid, Ribble Cycles, Cleverboxes, Aber Instruments and Whitecroft Lighting to make smarter pricing decisions. channelcentral is a software house dedicated to the development of custom and off-the-shelf software for the IT Channel Worldwide. Specialising in Configure, Price, Quote Configuration Software and smart Product Finders/Selectors at single or Multi-Vendor level. channelcentral is best known for its iQuote Software developed for Hewlett Packard Enterprise and HP Inc. Its customers range from Global IT Vendors, Distributors and Resellers. When channelcentral sales tools are used, companies gain efficiences in their processes and realise increased order values with higher attach rates. Unlike larger configuration software companies, channelcentral is industry specific, made up of Channel experts that truly understand the IT Channel and your needs. Contact channelcentral today with your requirements and bring value to your business. Web based Quotation and Configurator SoftwareCIS QuoteBuilder is a web-based quote management application that is ideal for organizations who want to automate the quoting process for its internal and external Sales personnel, resellers, dealers and customers. Streamline your end-to-end processes, from quote to delivery. Create incredibly accurate quotes fast, manage sales, schedule production, order and manage stock, book and prove deliveries, and see profit and loss in real time at a glance. Clarity Software is for the thinkers, the creators and the do-ers. Perfect for any business that creates products or delivers projects to order, whether you print brochures, design cakes, groom dogs, develop software or landscape gardens. Empower your sales teams to create accurate and profitable proposals with our efficient Configure Price Quote Add-On for SAP Hybris Cloud for Customer (SAP C4C). Their solution is tailored to the needs of manufacturing and high-tech industries. Sales organizations and businesses of all kinds are often faced with a similar task: producing accurate, professional, and quick sales quotes for prospects while eliminating errors and inefficiencies. Configure price quote (CPQ) software helps address this issue by automating a large portion of the quote and proposal process while maintaining personalized and customizable offerings. Ideally, salespeople can deliver the proper proposal to each customer based on their specific wants and needs. Configure — As we are often reminded, we do not live in a one-size-fits-all world. In fact, we have grown to not only anticipate that everything will be customized to our wants and needs, but to expect it. As consumers, our preferences are based on what we like, from music playlists to personalized shoes. Businesses are driven by something similar, though it’s less about "want" and more about "need." If you sell B2B, you must address this need with unique combinations of products and services that deliver precisely what your buyers are looking for. If you can’t accomplish this, you better believe your competition will. CPQ software can provide your sales team with tools to configure offerings, follow business rules, and customize proposals, helping to keep your customers smiling and satisfied. Price — If you’re a bargain hunter, you can relate to this: There are few businesses that sell products at full list price to all customers in all situations. Can you imagine life without clearance sales or special offerings? CPQ software facilitates many different pricing options, including special pricing, bundle pricing, or volume pricing. And if you’re managing salespeople, it’s likely that one of your sales reps likes to apply extra discounts that may or may not be realistic. It can certainly be embarrassing when you misquote prices to a customer, and this can even result in a lost deal. As a result, keeping track of current pricing, discount rules, and bundle pricing can be a headache. More importantly, it can be catastrophic to the bottom line when discounts are applied incorrectly or inconsistently. CPQ software aids in managing pricing for all your products and services. It enables your sales team to create custom quotes with consistent pricing, including available discounts, quickly and accurately. Advanced pricing rules can be configured to handle volume discounts, percent-of-total subscriptions, prenegotiated contract pricing, and channel and partner pricing. With CPQ systems, you can rest assured that your pricing is accurate and optimized. Quote — Deals don’t have the chance to close until you present a quote or proposal. Sales reps spend a significant amount of time and effort to earn the opportunity to present a quote to a customer, meaning they need to create the quote correctly and quickly. Not only that, but it needs to represent the business in a carefully crafted, custom, and professional manner. CPQ software provides the solution. With just a few clicks, sales reps can create quotes, send them in an email, and even include an e-signature or integrate with e-signature software to close the deal. CPQ software automatically pulls in the configured products and pricing, tying the whole process together and ensuring consistency throughout the customer experience. CPQ software allows businesses to more efficiently and effectively configure, price, and quote their products and services. Sales teams use the software to accelerate the sales process and eliminate long lead times while also improving quoting accuracy. Your CPQ solution can quickly become an irreplaceable tool in your price quote process and overall sales process, empowering your reps with guided selling and fast, accurate quotes. There are a number of potential benefits to your sales staff, especially if your reps have a high volume of configure price quote scenarios or plan to in the near future. Simplify quoting process — Users of CPQ cloud tools consistently say that the software provides a huge benefit during the quoting process. Because the software stores pricing and sales data, sales representatives are able to create quotes with improved accuracy on a consistent basis. Since all of the sales data is housed in one central location, you can eliminate the piles and piles of spreadsheets from your quote generation process. This results in a greatly reduced quote reduction time, enabling sales reps to spend more time selling. Many businesses require extremely complex quoting processes due to different contract types and business rules. With CRM software, you can create a quote that automatically abides by whatever limiting parameters may exist. By configuring the tool to your quoting needs, you can eliminate errors and allow new sales reps to get up and running faster. Improve approval process — Sales approval processes can be tedious and disorganized. Sending individual emails out to all involved in the process can result in approvals getting lost in the shuffle and, in turn, wasted time between the salesperson generating the quote and the customer receiving it. CPQ software can automate this process so that the moment a quote is created, it is automatically distributed to all employees involved in the approval process. Additionally, once a quote is approved by all hands, the quote can be automatically, electronically delivered to the customer. CPQ software also allows you to configure the process to your needs. So if a sales rep wants to generate a common quote with no special pricing or details, that quote can go directly to a customer. However, you can configure the software to trigger approval if a certain discount is quoted. Since CPQ tools support so many different pricing scenarios, approvers don’t need to waste their time on every quote but, rather, the ones that call for a closer look. Gain sales insights — CPQ software compiles and stores all of the sales data generated on its system. By tracking all of this information in one central location, sales teams can gain valuable insights into what is working and what’s not. This data is useful in determining things like how often products are being discounted and how long a sales approval takes. You can also search previous sales transactions which can be useful for copying, revising, and clarifying orders. This data can be extremely useful for sales teams’ future decision-making. CPQ software offer real-time analytics, so you can have an up-to-date view of market trends and which products are performing well and which aren’t. This kind of information can lead to bigger deals closed quicker. A CPQ tool can be hugely beneficial to a business by optimizing pricing while making a complex quoting more efficient. However, these products are generally only employed by sales departments within large and mid-sized businesses. Small businesses often don’t consider investing in such a tool because of the perceived expense and complexity of it. Over the last several years, many vendors have begun offering CPQ solutions that are affordable enough for small businesses. As more and more small businesses have decided to invest in a CPQ tool, it’s becoming clear that the software can be used as a platform for both growth and risk mitigation. Risk mitigation comes into play when you have long and complex sales processes. Enterprise businesses often have to deal with complex sales processes, and due to their inherent complexity, errors are commonplace. Given the size of a potential deal, an error in quoting or pricing could result in a huge loss in revenue. Also, these types of sales processes are lengthy, often causing customers to become frustrated, which could result in a lost deal. Because small businesses often don’t have highly complex sales processes, there’s less risk to mitigate, therefore, CPQ tools seem to provide less of a value. The truth is, CPQ software can be the impetus for a growth spurt. A small business usually requires its employees to be utility players. A salesman may be spending several hours a week doing tasks that aren’t related to pursuing new sales—helping the operations team coordinate shipping schedules, for example. One of the tasks that can take up a substantial amount of a salesperson’s time is pricing and quoting. Small companies with ambitions to grow should consider investing in a CPQ tool to enable their sales teams to spend less time creating quotes and more time selling. No matter how you sell, whether door-to-door or through an e-commerce website, you’ll want to provide accurate quotes and proposals in a timely manner. Configure price quote software is designed with features to simplify this effort and optimize your quote-to-cash (Q2C) process. Q2C is an overarching business process comprising several, more granular business processes, all of which are related in some way to driving and managing revenue. The cyclical process usually starts with opportunity management and ends with analysis and forecasting, looping back when the latter is complete to start all over again. For more information about the quote-to-cash (Q2C) process, visit the full Q2C Guide here. You can also explore the quote-to-cash software category. CPQ software is an integral part of this process, fitting in between opportunity management and contract management. CPQ helps grease the Q2C wheel by providing customers with customized products and quotes from the beginning of the process. Configure — If you don’t consider opportunity management to be part of the Q2C process, then configuration is your launching point. Product or service configuration comes into play once you’ve engaged a prospective customer. The first step is understanding the needs of a prospect. From there, the goal becomes tailoring your product or service offerings to create something best-suited for the potential customer. Sales teams typically have rules in place in terms of what they can offer—this is where CPQ software comes to the rescue. Many sales teams use software to assist in configuring product or service offerings. Guided selling is a configuration-related feature in some CPQ products. This can involve timely recommendations based on customer preferences or needs and intelligent feedback to reps at different points in the configuration. Price — Once you’ve configured your product or service offering to your client’s specifications, it’s time to provide your prospect with a price. This is easier said than done, especially for a complicated configuration of a product or service. A large portion of the pricing process comes down to determining the optimal price for an offering—if you’ve configured a product with hundreds of different parts, software can be beneficial to help sort things out. Salespeople also need rules for pricing options, such as a maximum permitted discount or an allowable incentive structure. Optimizing your pricing standards, and adhering to them, is crucial to maximizing profit. Pricing and discounting features assist the user with assembling the most accurate price at the highest possible profit margin. These tools are configured based on up-to-date rates and pricing rules related to your business, your industry, and your region. Quote — Once everything is built out to a prospect’s specifications, providing a quote is the culmination of the configuration and price processes. The quote is the documentation of the unique configuration and associated price and is what the prospect will use to make a buying decision. A quote should itemize all of the products and services being offered, as well as include any terms and conditions associated with the deal. It is generally understood that a quote is not a final offer but, rather, an effective way to display what is being offered and generally how much products or services cost. Businesses often negotiate after providing a quote, and sales teams can use configurable products to assist in the quoting process. It is important that a salesperson can provide a quick, accurate quote to a prospect to maintain engagement. This is where CPQ software is valuable, as they often have functionality to accomplish this while also reinforcing the value provided by the offer. CRM compatibility — Most configurator and quotation products are built to work with at least one existing customer relationship management (CRM) tool. Some are native to specific CRM systems, while others are designed to integrate with multiple CRM products. If your company uses CRM software, it is important to choose a CPQ platform that operates seamlessly with it. Customization — Every company will have its own set of needs for its CPQ software: different products, discounts, bundles, and more. The product you select must be able to fit all the needs of your sales team and the products you offer. Mobile — The ability for your sales reps to create quotes in the field via their smartphones or tablets can cut down the time of your sales cycle. It is important to understand the functionality of a configurator and quotation software’s mobile offering and the different platforms on which it is available. Mobile capabilities are tied to the product’s deployment, whether cloud or on-premise. Cloud-based CPQ software allows your team to work within the program from anywhere on multiple devices. The subscription-based pricing model of cloud-based CPQ software is often appealing to companies expecting rapid growth. On-premise CPQ software offers more security and can be used with an internet connection. Branded contracts — Small details, like branding on sales documents, go a long way in impressing customers and closing deals. Through your CPQ cloud or on-premise solution, you may be able to produce contracts and proposals with the added touch of logos or other brand signifiers. Hi there! Can I help you find the best CPQ solutions?